Keynote speaker Arianna Huffingtion addresses attendees at the Equal Rights Advocates anniversary luncheon. More than 850 guests comprising of business leaders, politicians and attorneys gathered at the Marriott Marquis in San Francisco on June 17 to celebrate the 36th Annual Luncheon of Equal Rights Advocates, a national nonprofit organization dedicated to protecting and expanding economic and educational access and opportunities for women and girls based in San Francisco. This year’s theme was “Breaking the Glass Ceiling,” chosen to reflect the advancement of women in all professions. It also underscores the fact that much work remains to be done to ensure equal opportunities for all women. Hurtado joined ERA in 2009 after more than a decade of defending the indigent—most recently handling post-conviction appeals for life sentences for women on death row. During her speech, Hurtado said she felt her determination to fight injustice was emboldened after this experience. Hurtado also spoke about the wage gap between men and women and the significant role that she sees ERA playing in the future fight for social justice. The event’s highlight was the keynote address by Arianna Huffington, a co-founder of the online news blog The Huffington Post. She’s also the author of numerous books, including On Becoming Fearless…In Love, Work, and Life. She was chosen as the keynote speaker because of her progressive views on important social issues, ranging from the rights of gays and lesbians to immigration. 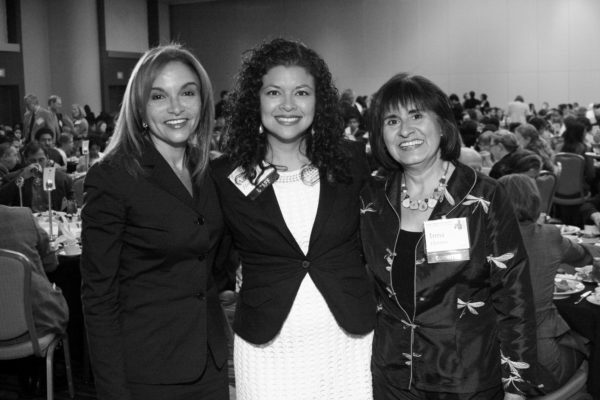 Pam Moore, Arcelia Hurtado, and Irma Herrera. 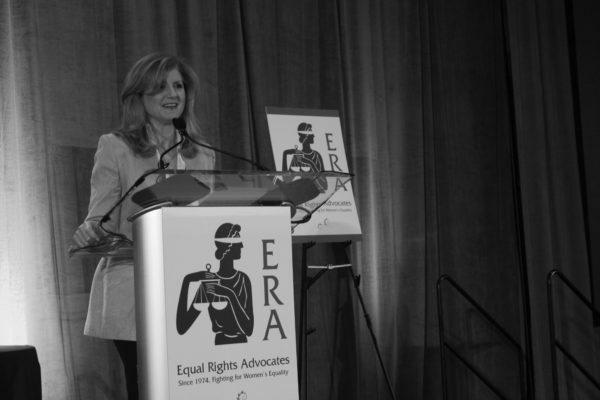 Huffington spoke about the importance of ERA’s work. She also touched on the importance of having a balance between work and life, part of which included making “an appointment with sleep” to make sure one rests enough proportionate to one’s work. She also spoke about the importance of being fearless in all aspects of life, and also suggested that failure is an integral part of success. 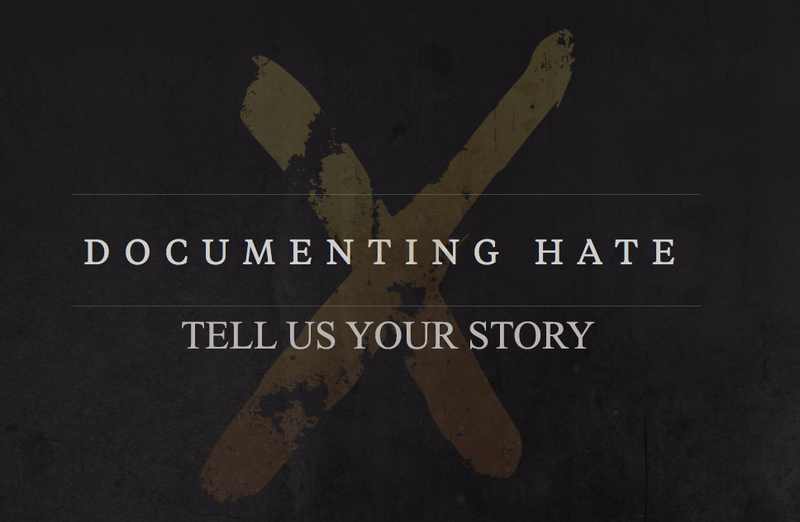 Huffington offered an adage to help Luncheon attendees remember her point. “The main difference between success and failure is perseverance,” she said. ERA client and Luncheon guest Michelle Maher had a reason to celebrate the organization’s successes. Last year, Maher was represented by ERA in a lawsuit against the City of Fresno, alleging that gender discrimination motivated her dismissal from the fire academy despite being one of the top students. A jury agreed with Maher’s claims and awarded her $2.47 million. ERA was founded in 1974 by four young female lawyers who felt that they needed to fight for the rights of women and young girls. After many decisive victories, ERA’s attorneys are currently among those representing plaintiffs in Dukes v. Wal-Mart Stores, Inc., the largest discrimination class action lawsuit in U.S. history. All proceeds from ERA’s Luncheon help to support the organization’s many services, including a toll-free Advice and Counseling hotline and educational workshops provided throughout the state. The Luncheon was emceed by KRON-4’s Pam Moore and was sponsored by Wells Fargo, Farella Braun + Martel LLP, Hanson Bridgett LLP, and Pacific Gas and Electric, among others. If you have questions about your legal rights or for more information about ERA, please visit www.equalrights.org or call (415) 621-0672.